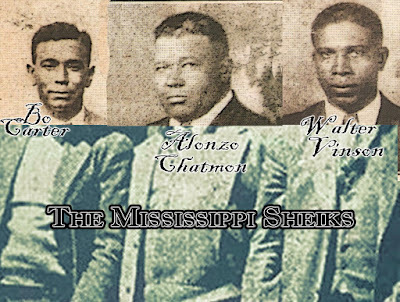 Although the history of the generation of guitarists of the Mississippi Delta who brought the blues north to Chicago in the 1940's has often been told, many of the musicians who stayed in the South to carry on the blues tradition are only now being discovered by historians and blues aficionados. CeDell Davis, the singer-guitarist who will make his New York debut tonight at Tramps, 125 East 15th Street, is a perfect case in point. Mr. Davis, who taught himself to play the slide guitar with a table knife after a crippling attack of polio, has been earning a precarious living playing the juke-joint circuit of the Mississippi and Arkansas Delta since the 40's. But he has only recently been discovered by blues anthologists, and even now the only commercially available recording of his playing is in anthologies issued by an obscure German label, L & R.
Yet Mr. Davis, who has lived in Pine Bluff, Ark., since the early 60's, plays with a special verve and style that is attracting increased attention and has begun to appear outside the Delta. His large repertory includes many blues standards by Joe Turner, Jimmy Reed, Muddy Waters and B.B. King as well as original songs, many of them never written down. Elmore James, Albert King and many other celebrated musicians taught themselves the rudiments of guitar using a diddey-bow. When he went back home, Mr. Davis made a diddey-bow for himself, and from there he graduated to a real guitar. At the age of 10, Mr. Davis was stricken by polio and hospitalized in Little Rock for more than two years. With his hands and legs partly paralyzed, he found he had to teach himself to play the guitar all over again. Mr. Davis has played the guitar with butter knives ever since. And his mastery over his disability has helped determine a singularly rhythmic style in which he does an amazing job of keeping a steady rhythm on the bass strings and playing leads on the treble strings all at once. For 10 years, on and off, in the 50's and 60's, Mr. Davis worked with Robert Nighthawk, an important slide guitarist who influenced Muddy Waters. And he was also a frequent guest on the fabled King Biscuit Time radio show in the South, playing behind Sonny Boy Williamson. In the late 50's, Mr. Davis worked in St. Louis with Bobby Brown. It was in East St. Louis in 1958 that Mr. Davis suffered a second physical setback when his legs were broken in a bar brawl. Before that, he had been able to walk a mile or two on crutches. Today, his mobility is considerably more restricted. ''Bobby and I used to go around to the clubs, and if they were crowded, the owners would say they didn't need no band,'' Mr. Davis recalls. ''So we'd offer to play four or five numbers for free, and the owners would say O.K. Mr. Davis's name began to circulate outside the Delta only recently. 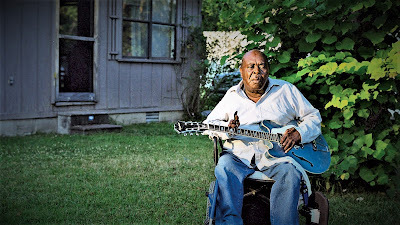 He is in demand as one of the last Delta blues musicians playing in a pure rural style. CeDell Davis's blues is dance music. He plays shuffles, boogies and stomps with a furious rock beat, hammering out bass lines and playing stinging treble-string leads with his knife on a canary-yellow electric guitar. He is also an utterly original stylist who transforms even familiar blues standards by Jimmy Reed or Joe Turner into down-home stomps. 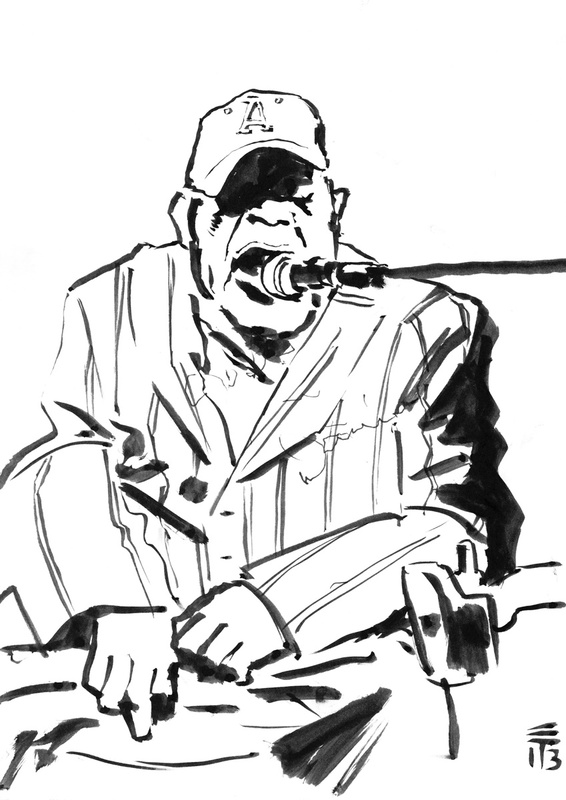 And his vital expressive singing is part Joe Turner shout, part Delta moan. At Tramps, where he will be performing on Friday, Saturday and Sunday for the next two weekends, he will be accompanied by a two-man horn section and drums. Show times are 9 and 11:30 P.M. on Fridays and Saturdays, and 8:30 and 11 on Sundays. There is a $6 cover charge. For reservations, call 777-5077.